Christian Byrd, Field Coordinator for CBF MS, and Dr. Mike Massar; recently selected Transitional Coordinator for CBF LA and Co-Pastor of University Baptist Church, Baton Rouge, LA; opened the CBF joint LA-MS state meeting by asking all of those in attendance to stand and introduce themselves to the group. An estimate of the headcount at the meeting is 56 people with a good representation from each state. People attended from as far away as Togo, AF, with Lynn Hutchinson, a Mississippian now serving as CBF Field Personnel in Togo, being the one who traveled the farthest to attend. Others in attendance were spread across LA-MS from MS cities such as Olive Branch, Gulfport, Shaw, Jackson, Hattiesburg, Leland, and Starkville; and LA cities such as Baton Rouge, Shreveport, Lake Providence, Vidalia, and New Orleans. Mike threw the group a little twist by asking that we give our name, church name, and the last sin we had committed in our introductions. All in good fun, as you would expect, there were some nervous, and boisterous, laughs as we went around the room. The exercise continued with people pairing off and telling each other about their churches. All in all, these were creative ice-breakers that got everyone into a pretty jovial mood from the git-go. Next on the agenda, the Delta Hands for Hope (DHH) team gave an update to the group. Lane Riley, DHH Program Director, and Cora Jackson from DHH discussed activities at the DHH Center in Shaw, MS. Seventy percent of the children in Shaw live in families that are below the poverty line. The DHH summer feeding program has provided as many as 10,000 meals during the summer for the children around the area of Shaw, MS. The DHH update was followed by Jenny Hodge; Program Director, of the CBF Together for Hope program in Lake Providence, LA (right across the MS River from Shaw); sharing her activities report with the group. All of these folks are doing excellent work training students to be leaders, mentors, and servants of Christ as they mature in their Christian life. These programs are either a direct result or a spin-off of the Rural Poverty Initiative of CBF started several years ago to provide assistance to the poorest counties in the U.S. Today in the U.S., the MS Delta area has taken the place of Appalachia as the most financially challenging place to live. Lynn Hutchinson was next to report to the group. She shared the journey Mike and she have taken since leaving their last mission field assignment in Africa in the summer of 2010. They returned to the U.S. and lived in Hattiesburg for a year or so while attending UBC, a CBF church in Hattiesburg. Mike soon became the State Coordinator of CBF MS. Part of his new responsibility was to start a CBF fellowship on the MS Gulf Coast. The couple moved to the coast and started a fellowship group in their home in Gulfport, MS, in November 2011. That fellowship continues today with Reverend Jay Lynn leading St Martin Baptist Fellowship. In March 2013, Mike and Lynn returned to the mission field as CBF Field Personnel to Togo, AF. Their ministry has been growing as Lynn and Mike have integrated themselves into the community of Lome, Togo, AF. One project that continues to grow very rapidly is the Togo House. Part of this ministry project is to rent a house where children can come and learn English words and also learn about the love of Jesus. A young man of the village, Komla, who lost a leg recently in an accident, receives a salary from the Togo House to teach the children. He is very good at disciplining the children while conveying the love of Jesus. Also, Lynn and Mike use the Asset Based Community Development (ABCD) approach to develop the assets of the people in their village in Lome, Togo, AF. One project they have started involves the people of the community gathering together on a regular schedule to sweep the streets of the village. The villagers are now taking great pride in how their community looks. As a wrapup, Christian Byrd and Mike Massar also reported on some of the upcoming CBF activities in the states of MS and LA. Christian announced the Children's Minister Day to be held at FBC Meridian (FBCM) on July 18, which will include a time of sharing about various children's curriculum resources. It's open for anyone from MS, LA and AL. FBCM's curriculum for kids has been very effective helping children to learn the stories that God teaches them through His Word. Mike Massar spoke of a lecture series CBF supports that has been going on for some time in LA and mentioned several of the past/future speakers at this forum. He also mentioned that the next event in this series will be held at the St. Charles Avenue Baptist Church, CBF church in New Orleans, November 7-8. This event is the Mabel Palmer Lectures in partnership with the Stagg-Tolbert Forum. Nationally recognized Christian author Rachel Held Evans will be coming to speak at this event. She will speak at the Forum and preach in the Sunday morning service at St. Charles Avenue Baptist Church. All in all, this was a great, joint meeting between CBF LA and CBF MS. All came away from the meeting with renewed excitement for the future of CBF. For nearly ten years, First Baptist Church Meridian (FBCM) has been “Walking” on summer Sunday nights. Sunday School classes and other groups at FBCM participate in at least one mission project during the summer months. While many of the projects take place during the week, Sunday nights are set aside for planning and fellowship. The “Walking” projects were first organized by Matt Snowden, then associate pastor at FBCM. (Matt currently serves as the pastor of the First Baptist Church of Waco, Texas.) Groups were encouraged to reach out to Meridian in whatever way they could. Some mission projects were short-term: washing cars for free, giving out water bottles at busy intersections, yard work for the elderly. Over the years, some groups have formed long-term, on-going relationships. One of the ladies’ Sunday School classes has “adopted” women and children who seek shelter at the Care Lodge, a local shelter for victims of domestic violence. What started as one summer visit has turned into a weekly ministry. The ladies of FBCM visit with the women at the Care Lodge, offering them a listening ear and a few items like purses packed with health and hair care supplies to get them through this time of transition. One project that grew well beyond what could be imagined has become known as the Playground for Jesus. Members of a young adult Sunday School class partnered with Wesley House, a local community center for relief and education that has served Meridian for over 100 years. Wesley House had inadequate outdoor play facilities for their daycare students, children who come for after-school and summer care, and youngsters who accompany a family member receiving services from Wesley House. From raising money to the construction of the playground, FBCM members faithfully saw the Playground for Jesus come to life. This summer, FBCM adults, youth, and children will visit with all who come to the Playground for Jesus on Wednesday nights. 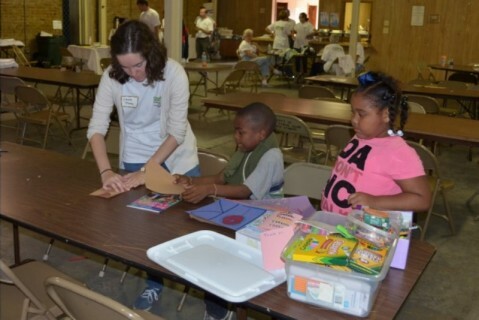 They lead activities specifically for children, including Bible study, art, and games. Another FBCM activity this Summer at Miss Amy's house. And yet another, Youth Choir Tour 2015.
. . . Being the Presence of Christ in our World. How do you describe and define an organization like CBF that is made up of so many unique individuals, unique expressions, and unique callings? As noted in the February/March 2015 edition of fellowship! magazine, CBF spent a year seeking innovative ways to tell the CBF story that precisely articulates who we are without resorting to who we are not. What emerged from the brand audit process was a new visual identity system, a clarified way to tell the CBF story, and “Forming Together” as a new tagline for CBF. Christ-like: First and foremost, we witness God’s work in the world. Innovative: Ever exploring ways to renew the church and the world. Authentic: Genuine relationships that are built on respect. Global: Impact that reaches every corner of the globe. Excellence: Raising the bar with inspiring partnerships, ministries and missions. Diverse: Strongly committed to hearing and respecting different perspectives. The ultimate success of the brand audit depends on how helpful the results are to the individuals and churches that make up the Fellowship. As members of the Fellowship we can help share the passion and vision of CBF with others. I believe Jeff Huett conveys it best by saying, “My hope is that we are better able to say why we are Cooperative Baptists and better equipped to invite others to join us as we partner in renewing God’s world. Religious liberty is a cornerstone of our Baptist heritage. During the Executive Coordinator’s Report to the CBF Governing Board in January 2015, Suzii Paynter discussed the expanded partnership between the Cooperative Baptist Fellowship and the Baptist World Alliance. At the center of this expanded partnership is Mark Wiggs, an attorney, writer, and active member of Northminster Baptist Church in Jackson, MS. Mark was appointed to serve as the BWA UN Liaison Officer. Mark will also be a CBF representative for US International Religious Liberty organizations. Mark is the perfect person for this role. He is a passionate advocate of and a champion for religious liberty. Mark has previously served as chairman on the board of directors of the Baptist Joint Committee for Religious Liberty. He is a graduate of Mississippi College and the University of Virginia School of Law. As part of his new role, Mark will focus on CoNGO – the Conference of NGOs in Consultative Relationships with the United Nations. As noted on the CoNGO website, this group focuses on committed NGOs that fully participate with the UN in decision-making programs leading to a better world, a world of economic and social justice. CoNGO recognizes the BWA as a full member which entitles the BWA to credentials at UN Meetings in New York, Geneva, and Vienna. As members of CBF-MS, we look forward to supporting Mark in his new role and praying for religious freedom across the globe. Central Baptist Theological Seminary, located in Shawnee, KS, is a partner of the Cooperative Baptist Fellowship (CBF), Inc. For more information about this partner relationship, please check out the CBF Partner Theological Education Programs directory at the CBF partner page. In a recent report released from The Association of Theological Schools on the numbers of students enrolled in seminary, Central Seminary, was identified as one of the 12 fastest growing theology schools in the US. Central was highlighted as one that has seen attendance grow by more than 50 percent. At a time of decreasing church attendance and overall affiliation with organized religious practice, it is significant that Central continues to grow. According to President Molly T. Marshall, it is absolutely critical to offer relevant and contextual theological education to support Central’s mission and values. As a result, Central has overseen a record growth of more than 179 percent during the past five years. Central is honored to be recognized in such a significant fashion. In a time of significant challenges for traditional seminaries, Central has found a way to remain significant, relevant, and accessible to students and those interested in ongoing theological education and spiritual development. Founded in 1901, Central Seminary prepares women and men for seeking God, shaping church and serving humanity. Central is proud to have the first woman president of a Baptist seminary accredited by the Association of Theological Schools. With course offerings in a dozen locations and serving more than 30 Christian denominations, the Seminary is ecumenical and evangelical. Central is devoted to the redemptive gospel, the mission of the church, and to intellectual inquiry which encourages open-mindedness to the best insights of biblical and theological studies. For more information, visit www.cbts.edu. Sponsored by Alabama CBF and Volunteers of America Southeast. This event will be Saturday, April 25 and will be held at Trinity Baptist Church in Madison, AL. Those from Mississippi, Tennessee and Georgia are encouraged to avail themselves of this opportunity. To register for the event or for inquiries, contact Lucas Dorion, Lucas@alabamacbf.org. Finally, some good news for small churches struggling with tax issues associated with health care reimbursement for staff and employees: in a Feb. 18th notice, the IRS said it will not enforce the penalty to small employers that offer health care premium reimbursements to its employees. Since the early 1960s, employers were able to directly pay for or reimburse employees for premiums of health insurance policies purchased by an employee without the employee being taxed. But on January 1 last year, the favorable treatment changed under the rules of the Affordable Care Act, and those benefits were scheduled to be taxed. Part of the confusion with the change is that employer-purchased (group) plans were not affected, only the individual policies purchased by employees. However, an employer’s plan that only covers one employee is exempt. All employers should stop offering premium reimbursements as soon as possible. Enforcement is still in place for employers over 50 employees, however enforcement against small employers has been delayed until at least July 1, 2015. The final caveat is Congress may still change the law, and/or the Supreme Court may invalidate it, so stay tuned. One of my jobs as president of CBF’s Church Benefits is keeping you up to date about changes in benefits, such as this. One thought leader I regularly monitor is CapinCrouse, CPAs, and they produced this update which has a more detailed explanation on the IRS update and changes to ACA enforcement. You can find the article here. If you have any questions or wish to discuss your church’s benefits, please contact me or the staff at CBF’s Church Benefits. You can reach us by sending an email or calling 1-800-352-8741. Gary Skeen is President of CBF’s Church Benefits, a ministry of the Cooperative Baptist Fellowship. DECATUR, Ga. — The Consumer Financial Protection Bureau (CFPB) announced Thursday an outline of federal regulation proposals to end abusive practices in the payday lending industry. The draft set forth would require payday lenders to verify borrowers’ income and expenses before making a loan to determine whether they could reasonably be expected to both pay off the loan and meet other living expenses, such as rent and groceries, without having to borrow again and accumulate additional fees. “Cooperative Baptist pastors and leaders are pleased that the Consumer Financial Protection Bureau is moving forward with rules that if finalized as outlined, would go a long way toward ending debt-trap lending and creating a truly fair marketplace for small-dollar loans. I hope that giving lenders a choice as to which approach to follow, prevention or protection, does not prove problematic considering the industry’s notorious ability to creatively avoid regulations and exploit loopholes. While this is a concern, the proposals outlined yesterday certainly represent a significant step forward for borrowers. If the rules are strongly enforced and operate as intended, they will result in major improvements over current practices in so many states. “Our partner churches, pastors and other leaders have seen first-hand the devastating consequences of payday and auto-title lending in their congregations and communities. They have used their benevolence funds to aid neighbors trapped in the cycle of debt proven to be so central to this business model. They have offered financial education classes to their communities and have worked to develop alternative lending products and partnerships. They have also been outspoken advocates and have served as key members of coalitions working for small-dollar lending reform in states such as Alabama, Kentucky, Louisiana, Missouri and Texas. To request an interview with Stephen Reeves on these proposed rules, contact CBF Communications Manager Aaron Weaver at aweaver@cbf.net or (770) 220-1610. Bio: Stephen K. Reeves is associate coordinator of partnerships and advocacy at the Cooperative Baptist Fellowship, a national network of 1,800 churches located across the United States. Prior to leading the advocacy efforts of CBF, Reeves served as public policy director for the Texas Baptist Christian Life Commission, where he led a diverse coalition of faith groups to successfully secure passage of “first step” payday loan reforms during the 82nd session of the Texas legislature in 2011. A respected advocate for payday loan reform, Reeves is a graduate of Texas Tech University (J.D.) and the University of Texas at Austin (B.A.). Communications Office • Passport, Inc. Journey to the Cross, a Lenten devotional series, returns to Passport, Inc.’s devotional website d365.org Ash Wednesday, February 18, 2015, and runs through the first week of Easter. music. This year’s ecumenical team of writers includes: Emily Miller, Stephen Mazingo, David Haun, Becky Ullom Naugle, Ben Acton, Jane Hartwell, Wade Griffith, and Tracy Hartman. The weekly themes invite each reader to examine his or her own faith Journey and draw near to the story of Jesus’ suffering, death, and resurrection. World renowned composer Mark Hayes has recorded an album of original hymn arrangements for Journey to the Cross, entitled Wondrous Love. These songs serve as familiar musical reflections, providing a backdrop that accompanies the daily devotional. Journey to the Cross is part of the year-round devotional site, d365.org, a ministry of Passport, Inc., and sponsored ecumenically by Passport, Inc., Cooperative Baptist Fellowship, Presbyterian Mission Agency, and The Episcopal Church. d365.org hosts daily devotionals and three seasonal series for Lent, Advent, and the beginning of the school year, as well as nearly two million visitors annually. Daily devotionals are available on the web, and through the free iOS app. Celebrating the CBF story is celebrating God's work in the world. It's a story of partnership between individuals and congregations around missions and ministries, locally and globally. Across the Fellowship, Cooperative Baptists are Forming Together - forming spiritually and forming through collaboration. The CBF story celebrates the autonomy of individuals and congregations while inviting collaboration. We are forming as one and forming together. After a year-long conversation about CBF, you told us that formation is the essence of the Fellowship. CBF encourages individual growth while growing local churches; it helps Christians form into their faith as well as live out their faith. Our new look and our language will reflect this "formation." New CBF graphics, including our new logo, represent the individuals, congregations and partners that comprise the Fellowship. It is visual representation of "forming together." As a combination of squares, circles and the cross, each having a visual purpose and a deeper meaning within the context of our mission, vision and work. Squares represent individuality and foundation. Circles and curvature represent community and the formation of unified partnerships that renew God's world. The cross in the "f" signifies that we bear witness to God's work in the world. In scores of interviews with Cooperative Baptists across the Fellowship, you asked us to focus on who we are instead of who we are not. Christ-like: First and foremost, we witness God's work in the world. Innovative: CBF is ever exploring ways to renew the church and the world. Authentic: We value and nurture genuine relationships that are built on respect. Global: Our impact reaches every corner of the globe. Excellence: The Fellowship is raising the bar with inspiring partnerships, ministries and missions. Diverse: Cooperative Baptists are strongly committed to hearing and respecting different perspectives. We are this way because Cooperative Baptists and the 1,800 CBF congregations that comprise the Fellowship are this way. As we are Forming Together with each other and with Christ, we are "Partners in Renewing God's World." To learn more about the missions and ministries of the Fellowship, visit www.cbf.net and enjoy the new look and feel of the site. To make the information easier to access, we've reorganized the content, making finding what you're looking for more intuitive. There, you can also find the new fellowship! magazine that's packed with stories about ways Cooperative Baptists are Forming Together while renewing God's world. With the launch of the elevated CBF brand and new website, CBF staff email addresses have also changed to the @cbf.net extension. For example, to reach Jeff Huett, use jhuett@cbf.net. For a full list of staff email addresses, visit www.cbf.net/staff. Pastor Robert Pitts, seated at right, listens as the visiting choir from a sister Baptist Church presents special music during the 12th Anniversary Celebration Service at Harvest Fellowship Baptist Church in Greenville. On Sunday, October 26, Harvest Fellowship Baptist Church marked a milestone of completing 12 years of ministry to her surrounding community in Greenville. The church celebrated Youth Sunday during the morning service, with children and youth leading in worship. Pastor Robert Pitts and his wife Zan welcomed guests to the afternoon celebration service, along with other leaders from the congregation, and to a covered dish supper afterward. Founded as the first “church start” for CBF-MS, Harvest Fellowship has provided several vital ministry efforts in addition to weekly worship services and Bible study. Ranging from a community vegetable garden, to a residential rehabilitation ministry for recovering addicts, to the Helping Hands of the Delta community ministry, the small but vibrant congregation has faithfully sought the Holy Spirit’s leadership in reaching out to countless individuals and families. As was requested 12 years ago, your continued prayers and encouragement for the work being done through Harvest Fellowship makes a great difference. 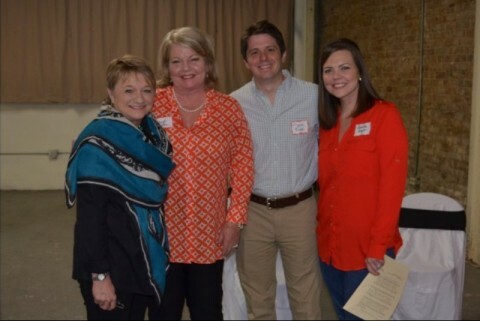 The CBF-MS Fall Assembly, was held Oct. 24-25 at the Shaw Cultural Center in southern Bolivar county. This year the annual gathering focused primarily on missions, including a variety of “spruce-up” projects in downtown Shaw and nearby schools. During Friday night’s worship service, which followed a fellowship dinner, the Assembly honored longtime missions advocate Jane Allison of Hattiesburg, for whom the new CBF-MS offering for State Missions has been named. Jane spoke of the lifelong impact created by her commitment to serve Christ, quoting the Girls Auxiliary pledge she memorized as a youth. The Assembly was privileged to welcome Suzii Paynter, National CBF Executive Director, who brought the keynote address during Friday’s worship service and stayed to assist with mission activities on Saturday. She challenged participants to notice the ways CBF field personnel are working to share the Gospel with people throughout many nations, especially in areas that are currently the focus of national and local news coverage due to crisis situations. Saturday’s activities began shortly after the sun arose over the Delta farmland, before the early-morning mist had lifted from the beautiful cypress-lined bayou that runs through downtown Shaw. During the business session, the Assembly approved the formation of an ad hoc committee that will serve as a task force for strategic planning for CBF-MS. Following the completion of several mission projects and lunch, the concluding worship service featured leaders from Delta Hands for Hope, a CBF-MS ministry partner. The closing sermon was presented by Jason Coker, who presently serves on the DHH board and as pastor of Wilton Baptist Church in Wilton, Conn. The non-profit ministry group DHH has begun working with Together for Hope, CBF’s Rural Poverty Initiative. Over the summer the group hosted a summer meal program and continues to provide ongoing education and recreation activities for children and their families at the Shaw Cultural Center. Cost includes airfare, accommodations, in-country transportation, and most meals. Also included is additional travel to St. Andrews and Edinburgh. It is possible to listen for and to hear God’s “still small voice” at most any time in most any space. However, sometimes traveling to a space that has been marked sacred by fellow Christians for many centuries can make both the listening and the hearing easier. Traveling with fellow pilgrims deepens the experience as we are reminded that the Christian journey is both individual and communal. Life lived in the Spirit is life lived in community. Iona is a small island off the west coast of Scotland and is the former home to a monastic community founded by St. Columba in 563. Today, there is no longer a monastic community on the island, but there is an intentional community dedicated to prayer and service. Thousands of pilgrims visit Iona each year to worship with the Iona Community, to visit various holy sites on the island, and, most importantly, to be intentional about seeking God’s presence and listening for God’s voice. Iona is truly a liminal space—connecting outer journey and inner landscape, past and present, heaven and earth, ordinary time and sacred moments . . . Interested? Questions? Please contact Amy Finkelberg at 601-982-4703 or amy@northminsterbaptist.org. The 1st week of this special emphasis month will focus on How To Reconnect with your family after a disaster. Make sure your family has a family emergency communication plan. For more tips and information visit: www.ready.gov/make-a-plan. The 2nd week will focus on putting together a Basic Disaster Supplies Kit -- www.ready.gov/kit. Camille Snyder has been elected president of the National Association of Insurance and Financial Advisors in Jackson and at age 29, is its youngest president. Snyder, a sales manager with Allen Financial Group, previously worked with a technology firm in Washington, D.C. Sidelined for nearly two years by a life-threatening illness, she then became the fourth generation in her family to join the insurance industry. She is a graduate of Washington & Lee University in Virginia. Camille serves on the CBF of MS Coordinating Council and attends Northminster Baptist Church, Jackson, MS.
Take them to the Fall Assembly in Shaw, MS, October 24th & 25th. There will be a Collection Box for your card donations. David and Kenneth Powell, Director of Chaplain Services, SMCI thank you in advance for your support. Christian Byrd, CBF Mississippi (CBFMS) Field Coordinator, hosted the CBFMS state meeting at the CBF General Assembly (GA) 2014 on Thursday, June 26. This hour was set aside on the CBF GA agenda for all states to pause for a short time and change the focus from national / international to individual state CBF activities. As we all know, the CBF message is the same in state as well as internationally. It was fun and interesting for this one hour to let "our hair down" and relax with fellow Mississippians and friends of CBFMS from around the world. Approximately thirty-five (35) folks attended this meeting. Personal introductions / stories were given by all who attended, with attendees being from as close as Atlanta and as far away as West Africa with Lynn Hutchinson, CBF Field Personnel, joining us. This part of the meeting was a lot of fun getting to know our friends better and finding out what is going on in their lives. We followed this with various CBF leaders from around the state giving reports. Rusty Edwards, Pastor of UBC Hattiesburg and current moderator of CBFMS, led off this reporting session, giving us a view of the exciting CBF events occurring in the state as well as at his church. We then received news about the work of the Delta Hands for Hope (DHH) nonprofit in Shaw, MS. This report included information about the success of a USDA grant that is being used to feed the children in Shaw over the summer months while they are not in school. The receiver of this grant is CBFMS with the proceeds being restricted for use by DHH. Thanks Christian Byrd; Deenie Grubbs, Ministry Manager for CBFMS; and Jill Hatcher, CBF National grants writer extraordinaire; for working very hard to get this grant through the full process / award cycle prior to the beginning of summer. Christian; Jason Coker, Pastor of Wilton Baptist Church, Wilton, Connecticut, and a founder of the DHH organization; and Lane Riley, the new DHH Program Director onsite in Shaw, MS; all gave us very exciting reports on what is happening in Shaw with DHH extending a hand up to those who are living in severe poverty in that area. Shaw is located in the Mississippi Delta and has recently become a part of the CBF National Together for Hope Initiative (TFHI). DHH is initially focused on activities in Shaw, MS, where Pastor Jason Coker grew up. Jason reported that DHH is currently in the process of getting full IRS 501(c)(3) nonprofit status so it can better continue the Lord's work in Shaw. St. Martin Baptist Fellowship (SMBF) introduced its new pastor-director, Jay Lynn, and his wife, Anita, and announced that Jay, Anita, and their two children, Katie (13) and Sam (9), will be moving to the MS Gulf Coast from Farmville, VA, on July 24. Also, Andy Hale, newly announced Director of Church Starts for CBF National, presented a $5000 award to SMBF. Ric Stewart, Chair of Board of SMBF, and Jay Lynn expressed appreciation as they accepted this award. They also expressed that the funds would be put to good use providing CBF Christian ministries on the coast and telling others about our Lord. Also, Andy expressed that CBF National would like for SMBF to attend a CBF Dawnings training session hosted by CBF for fellowships seeking to better understand who they are, where they are headed, and how to get there in a post Christendom (aka missional / community church) era in America. Christian Byrd closed the state meeting by conducting a "laying on of hands and prayer" moment for Jay and family as their new work for our Lord starts on the MS Gulf Coast on August 1. Everyone gathered around Jay and Anita and it was a special moment for all. Ultimately, all in attendance enjoyed this CBFMS state meeting very much and found it to be both enlightening and uplifting. To see more pictures of this event, either let the gallery autoplay for you or click on each picture to move to the next. Rev. Jay Lynn has accepted the position of Pastor and nonprofit Executive Director of St. Martin Baptist Fellowship (SMBF). SMBF is a Baptist fellowship aligned with the Cooperative Baptist Fellowship (CBF), the first CBF fellowship on the Mississippi Gulf Coast. SMBF also functions as a 501(c)(3) nonprofit Christian ministries organization. Jay and family will be moving to the MS Gulf Coast in mid-late July. Jay’s first day “on the job” at SMBF is targeted for August 1, 2014. During the weekend of May 24-25, we at SMBF got to know Jay, Anita, Katie (13), and Sam (9) in person. In view of a call, Jay led SMBF in its Sunday evening Bible Study devotional and prayer time. The Consensus of the SMBF group and subsequent vote of the Board was unanimous to invite Jay and his family to join SMBF as Pastor and nonprofit Executive Director. Jay accepted the call. We at SMBF feel that God’s leadership has gotten us to this point after 2.5 years of incubation and we are excited about where He will be leading us in the months and years to come. Jay and Anita will be representing SMBF at the CBF National General Assembly in Atlanta, June 25-27. We hope you all get a chance to meet and welcome them to their new role and life on the MS Gulf Coast “Doing Christ’s Love,” and to love them as we at SMBF have grown to love them in a very short time. DECATUR, Ga. – A strategic and innovative former field personnel and former director of one the Cooperative Baptist Fellowship’s flagship urban ministries was named CBF’s new Coordinator of Global Missions at a press conference today. Steven Porter, who served as the executive director of Touching Miami with Love from 2001 to 2005, will lead CBF’s 125 field personnel in the United States and around the world, as well as the organization’s Decatur, Ga., -based Global Missions staff. Touching Miami with Love was founded in 1995 and aims to share the love of Christ by providing hope, opportunities and resources with the city’s Overtown community. Porter holds ordination in the National Baptist Convention (USA) and currently teaches courses on the history and theology of Christian mission, including one titled Evangelism: A Contextual Approach, at one of CBF’s partner schools, George W. Truett Theological Seminary at Baylor University. His academic pursuits have provided connections to other CBF partner schools as well. He earned an M.Div. at Candler School of Theology and is pursuing a Th.D. from Duke University Divinity School, where he has been involved in the Baptist House of Studies. He has also taught courses in evangelism at William Jewel College, in Liberty, Mo., and served as a teaching assistant at Duke Divinity. Porter was commissioned as a field personnel on CBF’s Urban Team in 1998 and served in Miami until 2005. In his work with Touching Miami with Love and through his various academic pursuits, Porter has connected with many of CBF’s state and regional organizations, including CBF of Florida, the Kentucky Baptist Fellowship, CBF of Missouri (now CBF Heartland), CBF of Texas and CBF of North Carolina. In North Carolina, Porter served on the Wealth and Poverty Task Force; and in Texas, on the national CBF Missions Council. He currently is the chair-elect of the CBF Missions Council. CBF Executive Coordinator Suzii Paynter lauded Porter’s strong connection to the Fellowship and its state and regional organizations, as well as his effective leadership at Touching Miami with Love. While in Miami, Porter served as a chaplain in a federal prison and a street pastor for a homeless congregation. He was pastor of Downtown Mission, Central Baptist Church, in Miami from 1998 to 2005. In his leadership at Touching Miami with Love, Porter focused the organization on its core strengths — ministry to the homeless community and families at risk in the Overtown neighborhood. Part of the decision to narrow the ministry’s focus also included a concern to identify more closely with their neighbors – to be the presence of Christ in that place. Consequently, Touching Miami with Love relocated from downtown to a new ministry center in the heart of Overtown, which opened doors for expanded advocacy and community organizing. Internationally, Porter has developed a passion for building relationships with Christians from the Global South having served three stints as an international student, leading an international student ministry in Miami and participating in the work of the Baptist World Alliance and the International Association of Mission Studies. In 2010, he was the recipient of a Henry Luce Foundation Research Grant for work at Gadjah Mada University in Yogyakarta, Indonesia. At CBF, Porter looks to build on the organization’s strengths to help it become more collaborative in its global missions work, including closer integration with local congregations and the congregational ministries side of CBF. To help select CBF’s new coordinator of Global Missions, a 12-member search committee chaired by CBF of North Carolina Missions Coordinator Linda Jones formed in October. The committee was made up of individuals from across CBF life, including pastors, former field personnel and staff members from CBF state and regional organizations. Jones said Porter is precisely what CBF Global Missions needs at this time. Linda M. Jones (chair), Missions Coordinator, CBF of North Carolina, Winston-Salem, N.C.
Ryan Clark, Specialist and Training Manager for Global Missions, Cooperative Baptist Fellowship, Decatur, Ga.
Bill Coates, Senior Pastor, First Baptist Church, Gainesville, Ga.
Arville Earl, Retired CBF Field Personnel, Talmo, Ga.
Chris Ellis, Minister of Mission and Outreach, Second Baptist Church, Little Rock, Ark. Beverly Greer, Retired Missions Coordinator at CBF of South Carolina, Belton, S.C.
Joe Phelps, Pastor, Highland Baptist Church, Louisville, Ky.
Rachel Gunter Shapard, Associate Coordinator, CBF of Florida, Jacksonville, Fla.
Jim Smith has served as CBF’s interim coordinator of Global Missions since Rob Nash left CBF for Mercer University’s McAfee School of Theology to be professor of missions and world religions and associate dean. Nash led CBF’s Global Missions work from 2006 until June 2012. During Nash’s tenure, Global Missions implemented a new strategic plan that reiterated CBF’s commitment to the most neglected while building innovative structures for engagement. Under Nash’s leadership, the Fellowship commissioned at the 2009 General Assembly the first network of field personnel, churches and individuals as a ministry team among people in China. CBF Global Missions has also implemented eight mission communities through which churches and individuals can engage alongside field personnel. For more information on Porter, including additional biographical information, video, photos and endorsements, go to www.thefellowship.info/porter. Cooperative Baptist Fellowship Disaster Response representatives have assessed the situations in their states following the devastating storm system that struck the U.S. Southeast April 28-30. After providing assistance in the immediate aftermath of these storms, CBF Disaster Response is now working to assist with long-term recovery operations. CBF Disaster Response encourages individuals and churches who are interested in assisting these recovery efforts to connect with the state representative listed below. Alabama — The most pressing needs are in the Tuscaloosa and Mobile areas, where significant flooding occurred. Alabama CBF and CBF Disaster Response have sent financial assistance to the following congregations to aid families in need: First Baptist Church of Mobile, Woodland Forest Baptist Church of Tuscaloosa and Locust Grove Baptist Church of New Market. Alabama CBF continues to assess needs for assistance in the Athens area. To assist in Alabama, contact Lucas Dorion at lucas@alabamacbf.org or (205) 718-9443. Arkansas — CBF of Arkansas has completed its early work of assisting families with debris removal and preventative repairs. This work has been a collaborative effort involving a diverse group of partners. Along with partner Texas Baptist Disaster Recovery, long-term recovery options will be set up to help those with the greatest need and limited resources. To assist in Arkansas, contact Roy Peterson at roy.cbfarresponds@cbfar.org or (501) 590-6669. Mississippi — CBF of Mississippi’s disaster response coordinator is connecting with several partners and churches in the Louisville-area to begin formulating a plan to assist in long-term recovery operations. To assist in Mississippi, contact Jim Kirkendall at chapsky3@yahoo.com or (228) 229-3331. All of these opportunities are positively impacted by the generosity and gifts of love and service of Cooperative Baptists as well as other friends. Financial contributions are an expedient way to give directly to help assist in these recovery efforts. Please designate all checks to “Cooperative Baptist Fellowship” with “Disaster Response—17000” in the memo line. All contributions are tax deductible and will be directly used to help those affected by disasters. Tommy Deal is the U.S. Disaster Response Coordinator for the Cooperative Baptist Fellowship. Contact Deal attdeal@thefellowship.info or (706) 313-5066.